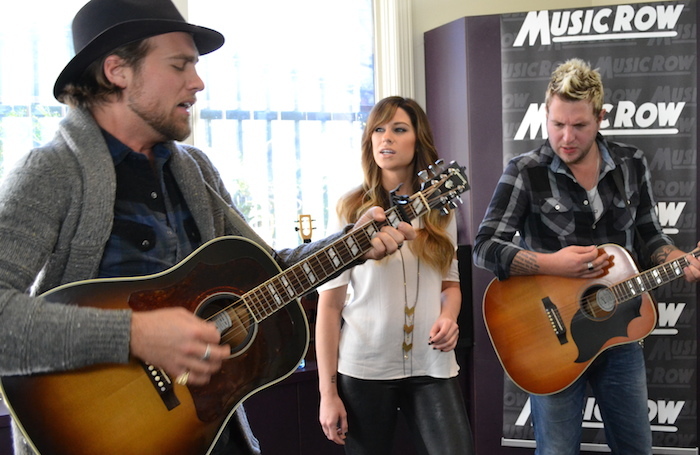 MusicRow welcomed trio Gloriana to its Nashville office recently, where the group offered a preview of “Trouble,” the lead single from their forthcoming third album. The group’s Rachel Reinert, Tom Gossin, and Mike Gossin served up intricate harmonies during their acoustic rendition of the song. They finished with a rendition of their hit single, “Kissed You (Good Night),” which was penned by Tom Gossin and Josh Kear, and later certified platinum.